The ExamTime online learning platform is now GoConqr. The GoConqr philosophy supports the concept of learning being a lifelong and achievement-oriented process. Education should not be limited to preparing for exams or tests. In GoConqr, you will find the same tools, features and study resources which existed within ExamTime. The new name aligns itself with the platform’s vision for the future and perfectly reflects what the tools represent. The big news with the launch is the announcement of the free iOS and Android mobile apps. 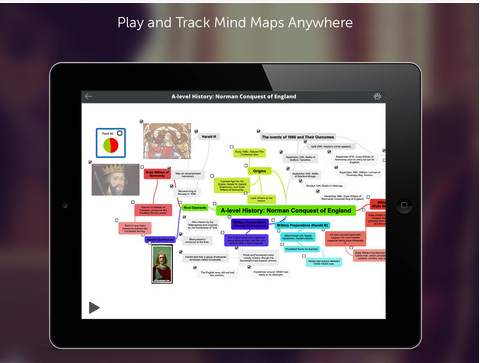 Perfect for reviewing resources to learn-on-the-go, the apps complement the web version of GoConqr. Students can make the best use of their time whether they are on the bus or in the library by viewing their study materials at their fingertips. Students and teachers from all over the world have demanded a mobile version of the platform, making it the most requested feature. As the learning platform is designed based on feedback from users, GoConqr launched the mobile apps to be fully synchronised with all content in the web app. This is the first version of the mobile apps and they plan to build upon this with future developments. Along with the free mobile apps, GoConqr have increased the subject limit for free accounts from one to three. Basic account users can now also copy and edit other resources to build their knowledge and take their learning to the next level.